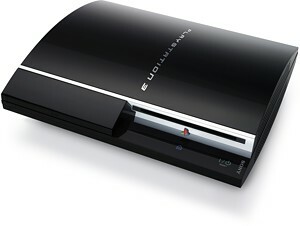 he Sony PS3 is the jack-of-all-trades of the console world. Not only does it represent some of the most advanced hardware ever to be dedicated to the business of gaming, but it also has a surprising number of secondary skills including web browser and media player. But one of the most important supplementary functions of the PS3 is the unit’s built-in Blu-ray Disc (BD) movie playback. In fact, for some folks this is the primary reason for purchasing the system – the PS3 is not only one of the best BD players currently available on the market, but it costs barely half as much as the next cheapest standalone model. With Sony’s heavy hyping of the PS3’s extensive media capabilities, it’s disappointing to discover that they didn’t seem to learn from past history when it comes to integrating the PS3 with audio/video components. Back when the original PS2 was released, one of its primary secondary features was that it could play DVD movies. However, beyond using the wired controller, it lacked any real remote control capabilities – which made it far from most people’s first choice when it came to DVD playback. Wireless remote or bust! 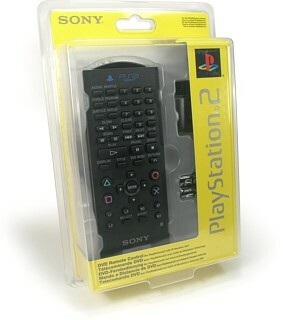 Sony (et al) listened, and official add-on wireless remote controls began popping up on the market, each of which included a separate consumer infrared (CIR) receiver that plugged into one of the PS2’s controller ports. Eventually when the company redesigned the PS2 into the newer “slim” version in 2004, they built that CIR receiver right into the unit to make the unit more attractive for movie playback out-of-the-box. Things looked bright for the PS3’s future when the PlayStation Portable (PSP) was released, as it came with a built-in CIR receiver/transmitter (even though there is still no “official” use for this). But then, just before the PS3 was released, disaster struck for universal remote controls everywhere. Sony revealed that the PS3 would not have an infrared receiver after all, and the optional BD movie remote control would be based on Bluetooth technology. Nooooo! Now, there’s nothing particularly wrong with Bluetooth. It’s a great wireless solution that doesn’t require line of sight to operate, and since the PS3 is already using Bluetooth for its controllers this would seem like a natural and cost effective extension. However, the one thing Bluetooth is not is friendly with home theater systems. No commonplace equipment available in the audio/video world uses Bluetooth for control. There are no remote automation systems designed to handle Bluetooth – everything is either more traditional RF, or standard infrared. So not only does this Bluetooth-only solution make it absolutely impossible to integrate that optional BD remote – and thus control over the PS3 – into any universal remote control, but it also makes it impossible for that Bluetooth remote to perform any regular home theater functions such as turning on the television or adjusting the volume. Bluetooth just isn’t a good match for the audio/video world, and with Sony pushing use of the PS3 with high-end home theater systems it’s unthinkable that such a basic necessity would be overlooked.